How About a City Wide Art Gallery Using Billboards? A day late but not a dollar short is our motto today. I’ve been working on a commission which means being off the internet. Now that I’m back, I want to share these links with you. 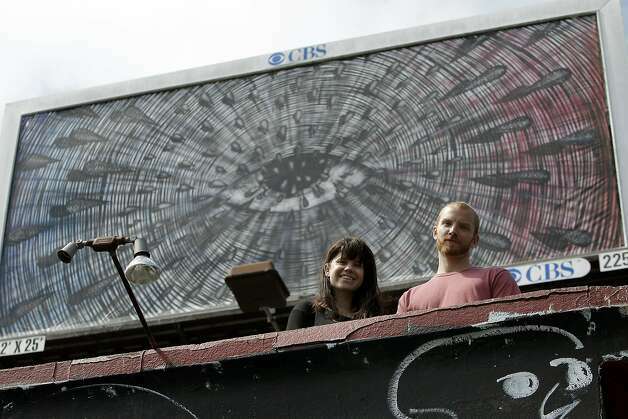 A project in SF wants to turn all the outdoor advertising signs into a city wide art gallery. I could see doing this in Munich. We have lots of signs with really ugly ads. What would be cool is to rent the ads over by Tumblingerstrasse and have the street artists collaborate with artists who have no clue how to paint with spray cans or stencils. I’m excited about a frame which will let you purchase and install digital artwork using your phone. A Japanese designer by the name of Yugo Nakamura created it and an American startup called electric objects launched a kickstarter campaign to bring this product to the masses. It is basically a big picture frame that allows you to show both still and moving art. Not a new idea but certainly one of the bigger photo frames I’ve seen.